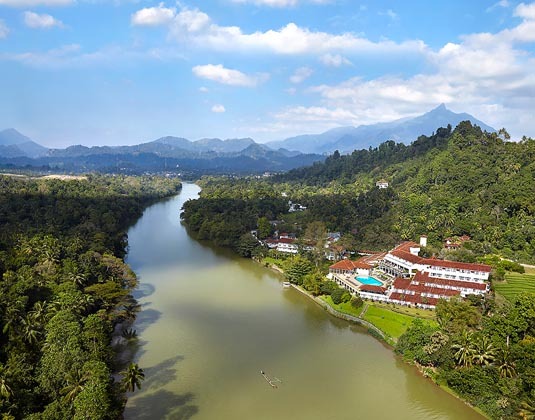 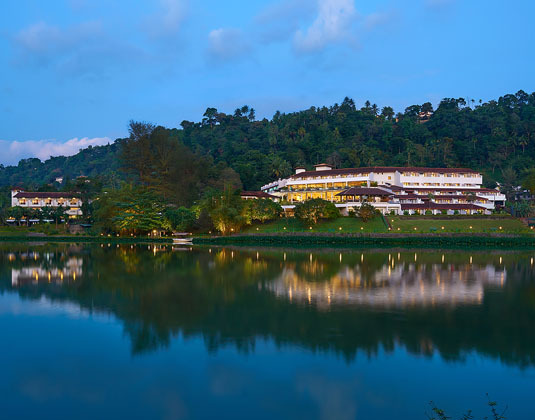 Nestled high up in hill country, beside a quiet bend in the Mahaweli River, this charming hotel provides peace and relaxation not far from Kandy, the last domain of the Sinhala kings, as well as picture-postcard views. 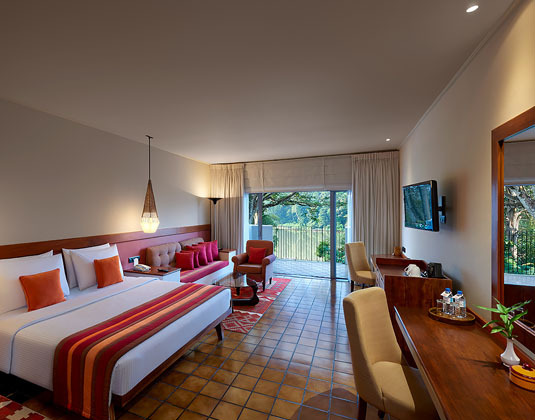 The interior of the property is contemporarily stylish, yet there are subtle reminders in the forms of vibrant tones and traditional Kandyan art to remind you that you're in the majestic realm of the ancient kings. 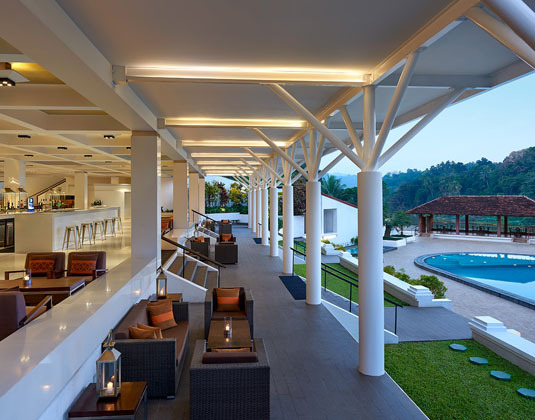 The pool overlooks the river and is just the place to unwind after a hectic day of sightseeing before you perhaps opt to dine in either of the restaurants, where every palate is well catered to. 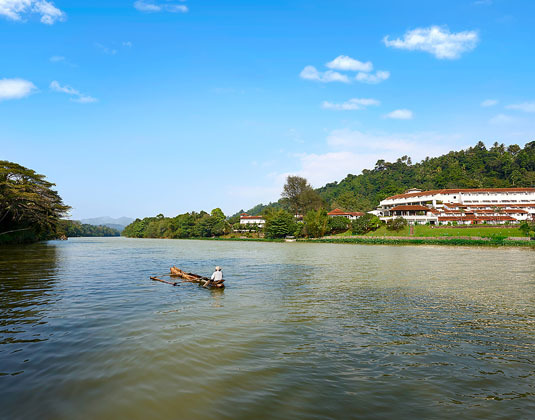 Deluxe rooms which offer views of the lush gardens or river from a private balcony * suites which have plenty of living space and prime views of the river and mountain range beyond. 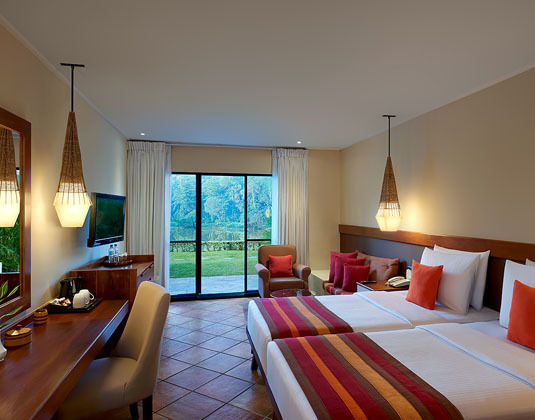 3½ hours from Colombo airport. 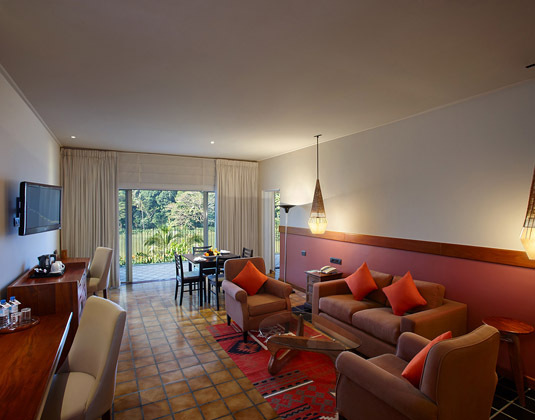 Early booking 5% room discount: On selected dates between Jan-Dec 19.